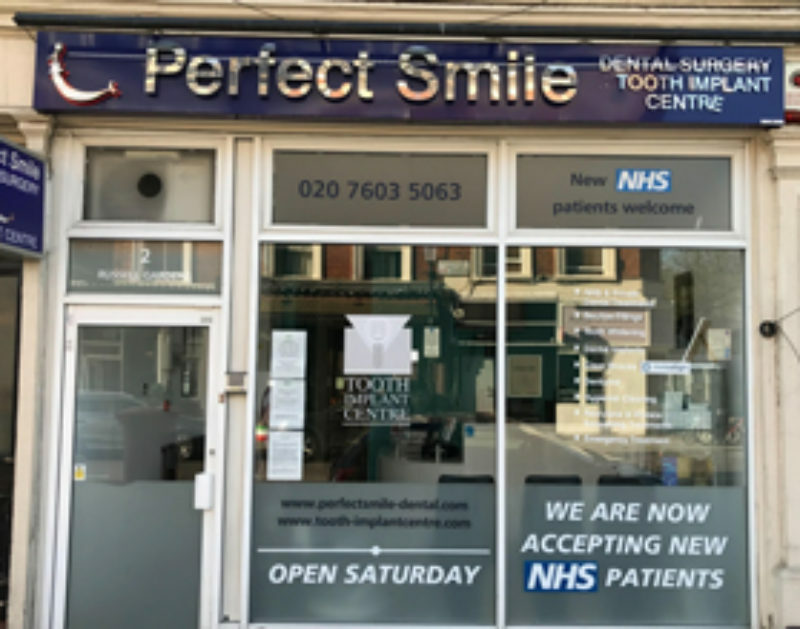 The Kensington Dental surgery has been caring for the local community for over 20 years. In March 2014 Perfect Smile acquired the practice and we have been continuing to provide first-class family dentistry. It is our aim to provide high quality and affordable procedures within a professional and friendly environment. With our team of professional and helpful experts, we hope to make you feel as relaxed and comfortable as possible, providing dentistry that suits your dentition and budget. You are more than welcome to register as an NHS patient and should you decide to take up any private cosmetic treatment you will never lose your NHS registration. We offer a variety of treatments and invite you to call and speak with a member of our team to see how we can offer a treatment plan that suits you. Fully NHS treatment plans to cosmetics, such as Whitening, veneers, fast braces, Invisalign and Implant. Perfect Smile Kensington is situated a 2-minute walk from Kensington Olympia train station, which is covered by London Underground District line and overground services. We are a ten-minute walk from High Street Kensington, Shepherds Bush train station and Westfield shopping centre. As a very nervous patient I found the experience reassuring. I had 6 root extractions today and the work was done very very well and efficiently and pain to be expected was kept to a minimum. Initially the dentist thought that 2 appointments would be necessary but due to her expertise it was all managed in one go! Well done to her and her able assistant too!! !